We accept checks and credit card payment via Stripe and PayPal (no account required; please see note at the bottom of this page). Select a membership level for price and details. For more information regarding member, events, and sponsorships, use the links below to access PDFs. Your logo printed on event posters. Membership dues are an investment in your own business and the whole district. View our Member Benefits for more information. 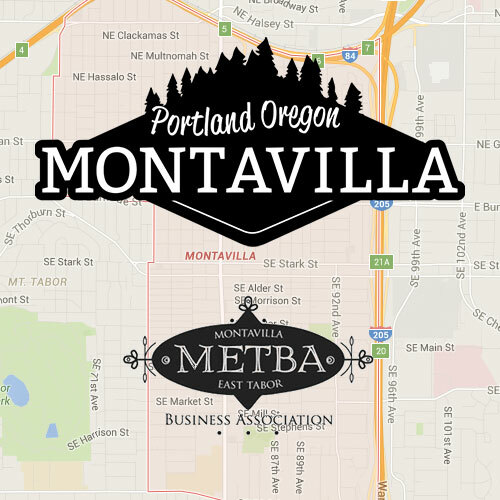 NOTE: We must receive your new membership or renewal by May 1, 2019 to guarantee your free Montavilla Street Fair booth. Members are also required to reserve a booth (reservation info will be sent to you as we get closer to July) in order to take advantage of this benefit. If you pay via PayPal without an account, PayPal will “recommend” that you create an account by entering a password. You are not required to do this. If you do not want to do it, you can click the “No thanks” link below the password form. Your payment will still be processed. New for 2019: Member Packages! Get the entire year taken care of in one fell swoop with our new membership packages. These pre-made packages include various sponsorships, in addition to your membership fee.